The Terminator franchise appears to be as unkillable as the Terminator itself. James Cameron, for the first time since Terminator 2: Judgment Day, one of the greatest sequels ever made, is getting involved in the franchise he created with Terminator 6. Tim Miller is directing Terminator 6, but Cameron is heavily involved as a producer. Now, someone else from the T2 days wants to come back for the sequel. 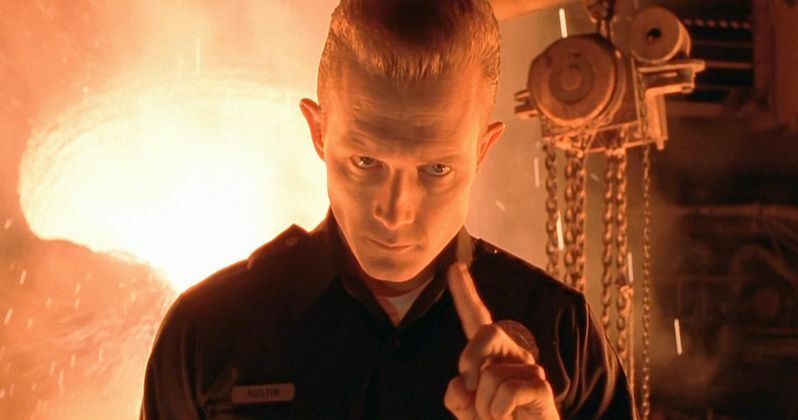 Robert Patrick, the man who brought the T-1000 to life, would absolutely be down to reprise his role in Terminator 6, assuming they'd like him to come back. The actor appeared at New York Comic-Con to promote his latest project for Amazon, Lore. During a chat with Screen Rant, Robert Patrick was asked if he would be up to return to the Terminator franchise, given the opportunity to do so. As it happens, he would absolutely be game for it and, for that matter, he's willing to reprise virtually any role he's ever done. Here's what he had to say about it. "Absolutely! Anybody [asks] me to do anything, return anywhere, I am there." Robert Patrick is a working man's actor. The guy has more than 140 acting credits to his name over the years spanning movies, TV and every genre or platform you could possibly imagine. So he wouldn't likely snub his nose at an opportunity to reprise one of his biggest roles ever. In fact, given these comments, it sounds like he'd be downright enthusiastic about getting to come back as the T-1000 in Terminator 6. Or one of the other proposed sequels. James Cameron and Tim Miller say that the plan is to do an entire trilogy of new Terminator movies. So even if Patrick doesn't come back for Terminator 6, if things go well, he could always come back for one of the other movies. The Terminator franchise has been in a rough place ever since Terminator 2: Judgment Day. The good news is, James Cameron and Tim Miller are going to ignore Terminator 3, Terminator: Salvation and Terminator: Genisys, meaning that Terminator 6 is going to serve as a direct sequel to T2, which is probably the best possible scenario. Linda Hamilton is already on board to reprise her role as Sarah Connor and, not surprisingly, Arnold Schwarzenegger is coming back once more. Adding Robert Patrick into the mix might be a great way to get jaded fans back on board. It has been said that this new Terminator movie will be handing the torch to a new, young actress and some new cast members, with Linda Hamilton and Arnold Schwarzenegger there to anchor the movie. Despite the T-1000's seemingly definitive death in Terminator 2: Judgment Day, it is possible they could find a way to bring Robert Patrick back to help with that as well. At the very least, these comments made to Screen Rant open the door for that possibility. The ball is in your court, Mr. Cameron.